So my little bug turned one last weekend! Where did the year go? I feel like I was just posting about our brand new baby and now he’s quite the active little boy. But enough of the sappy mom syndrome and onto the party. 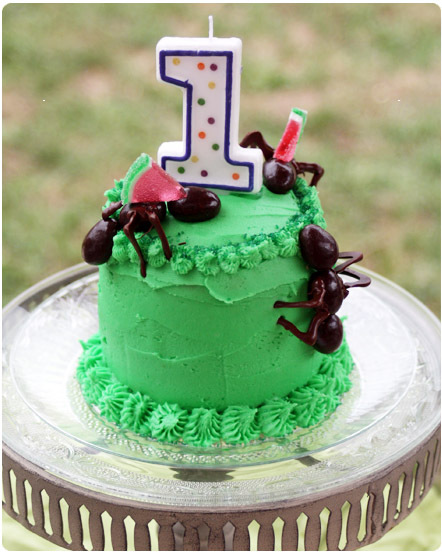 We decided to keep things on the simpler side and had a small casual bug-themed BBQ for our families. 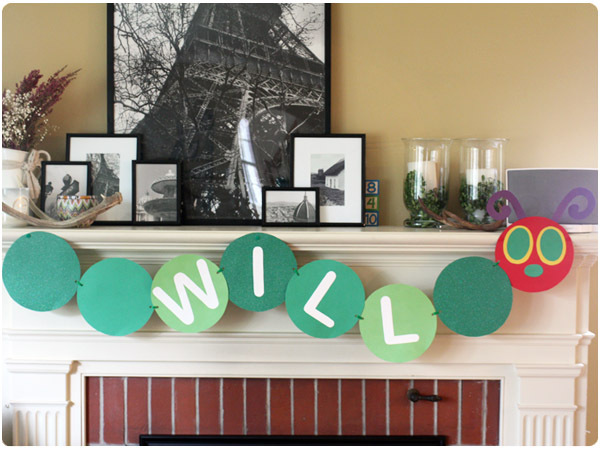 The mantel was cute-ified with a Very Hungry Caterpillar banner created by Will’s particularly crafty grandma. 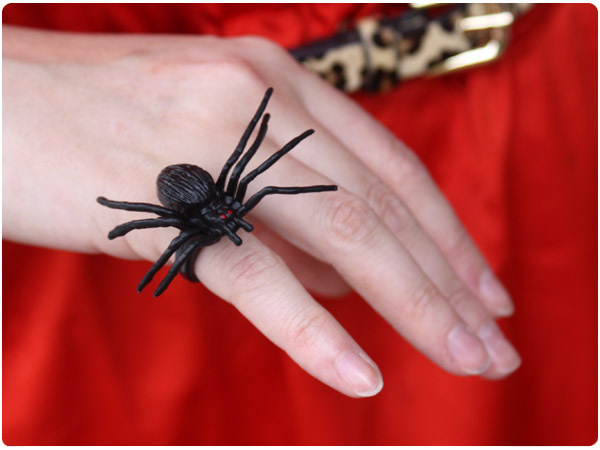 Guests young and old got into the spirit of things with fake spider rings. 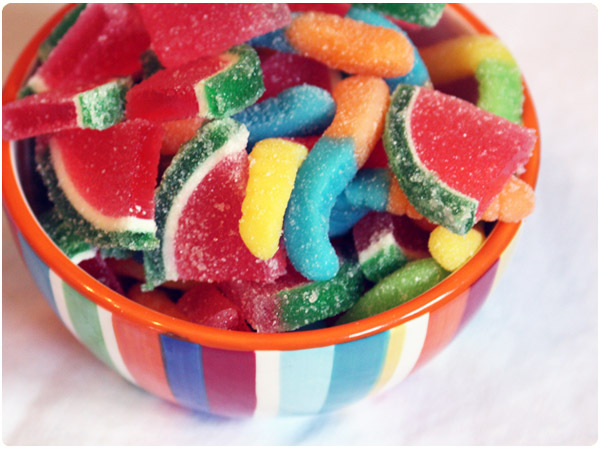 Colorful bowls of candied watermelons and neon gummy worms were set about for nibbling as guests chatted. 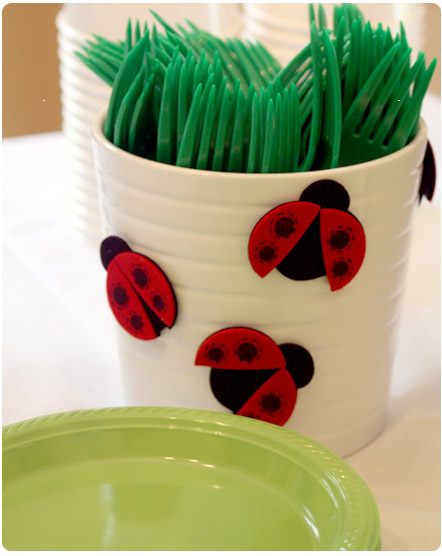 We paired grass green silverware with bright green plates to add color to the table and decorated cheap IKEA vases with little felt ladybugs purchased at a craft store. 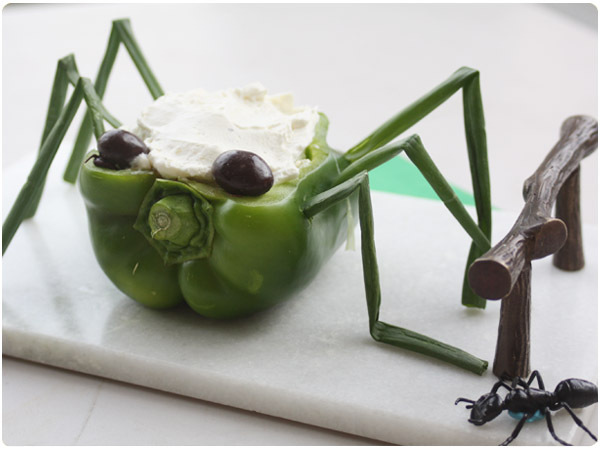 Guests snacked on carrots and potato chips with “bug dip”, which was inspired by Taste of Home, while plastic bugs adorned the various serving platters. 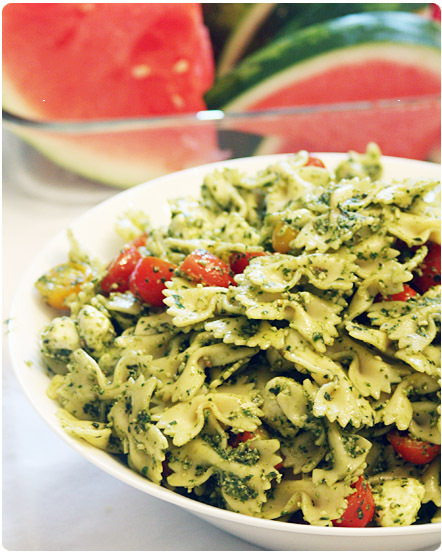 Watermelon, baked beans and butterfly pesto pasta salad accompanied platters of homemade burgers and brats. 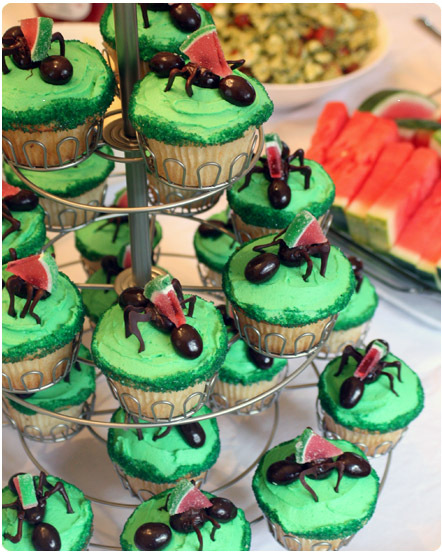 We made picnic ant cupcakes, inspired by the Hostess with the Mostess, to match the piece de resistance – Will’s mini vanilla bean birthday cake. I’ll post more details about the mini cake soon! 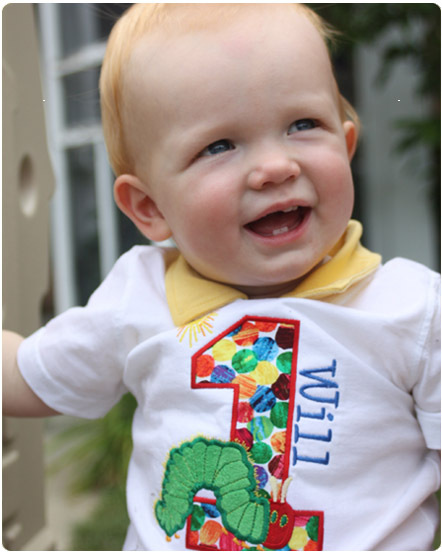 The birthday boy was quite the ham and had a grand time playing in his caterpillar shirt made by NaptimeCraftMommy.